The air is heavy in Israel. No, I’m not just talking about the humidity shock compared to my usual dry Las Vegas heat. 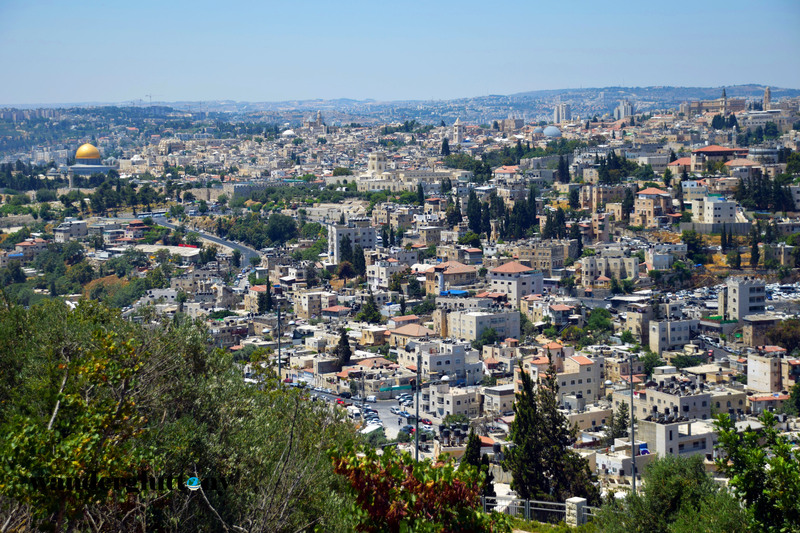 Standing at the top of Haas Promenade, looking down across Jerusalem’s horizon I felt I could see through time. I realize how cheesy that may sound, but it really is something else to stand in a place countless people have fought for and continue to this day to fight for. Regardless of your religion or lack thereof, the world would not be the way it is today without the history of Jerusalem. Now that’s a powerful thing. I could have stayed looking down from that mount for ages, but the city beckoned me down to get to know her. 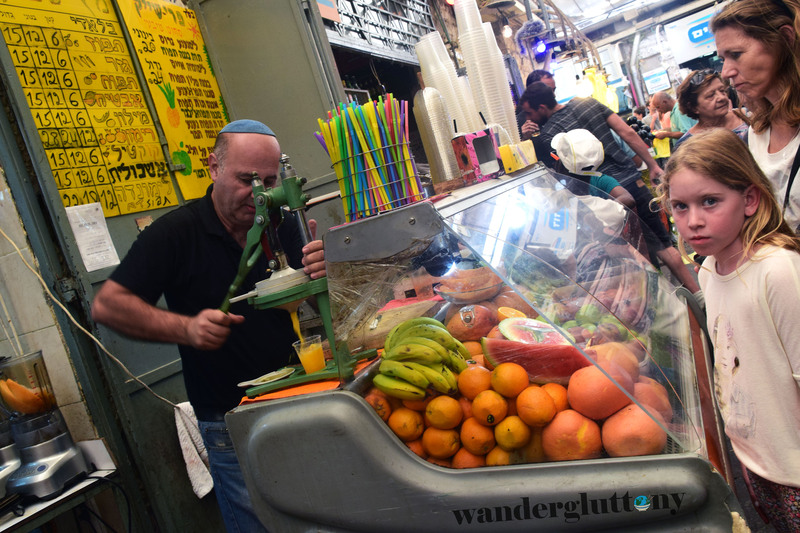 In order to really assimilate us with the culture and perhaps shake us out of any jet lag we were all definitely feeling, our Birthright tour ended up in Shuk Machane Yehuda, a crowded street market. Families pushed by us with strollers getting ready for Shabbat dinners. 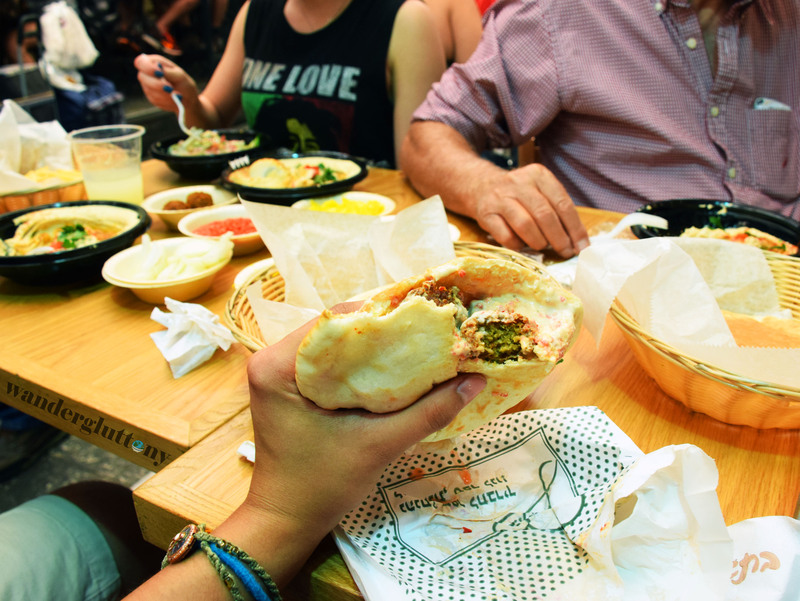 With my stomach always leading the way, my friend Marlee and I found our way into a cramped falafel shop. Working men sped about speaking in Hebrew seemingly about us, but not to us. I would’ve been a bit put off, but I was here for the ride and if that ride was being ignored in a falafel shop in Jerusalem, so be it. Don’t get between this girl and her vitamin C.
Finally, we got the attention of a younger man working in the shop who answered our questions and placed our order. We fumbled around with the proper shekels and were handed our food. A perfectly warmed pita was caressed with a smooth and perfect smear of hummus and packed to the brim with freshly chopped cucumbers, peppers, and tomatoes. Tucked under the salad were numerous perfectly seasoned fried falafel balls. The portion was quite generous and the price was more affordable than your average American fast food burger. I’m always too hungry to take a photo before the first bite. My intention was to eat as we continued to wander around the shuk, but the pita turned out to be more of a two-hands ultimate-concentration kind of meal. Our confusion must have been evident as I had hardly taken a step out of the shop when we were stopped by a patron near the exit. He invited us to sit with him and when our agreement wasn’t immediate he insisted, getting up from his seat with assistance from a cane to make room for us. He introduced himself as Moses and was more than hospitable asking us questions about who we were and offering us food as if we didn’t already have enough on our plate. We chatted as best we could with the language barrier and took a photo with our newfound friend. When we were finished with our meal and very full we excused ourselves from the table. Moses stood up again and shook our hands, smiling and waving us off. Giddy with the kindness we were shown on our first day in this country I felt more grateful for the life I have and the people I meet. Ask me more about Birthright or share your Israeli experience in the comments! The pita looks enormous! 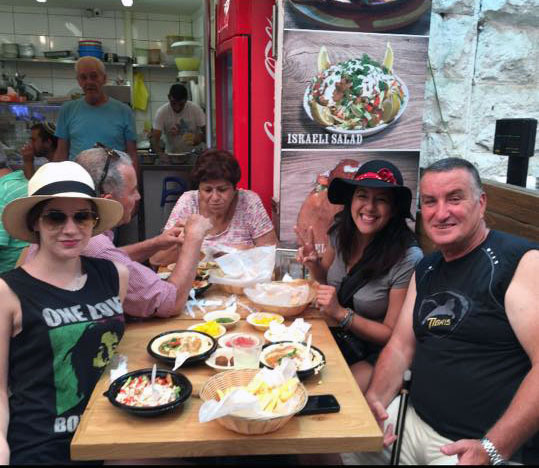 Did you have a favorite food while on your tour of Israel? It was! I’d have to say the shawarma with fresh cucumbers and tomatoes and a hefty dollop of hummus would be my favorite. Yum! Although I did find it interesting that chicken is the most popular find since I usually think of shawarma as lamb or a mix of meats. It’s such a beautiful country with so much history. I highly recommend it to anyone. Thank you for stopping by! My favorite part of traveling is meeting new people! My favorite traveling moments are from when people have invited us to their homes and fixed is a meal. I have always wanted to go to Jerusalem! Hope you had fun! I love that! I had an experience like that in Greece. It’s so wonderful when you get those glimpses of other countries through a local’s eyes.